I am a big fan of movies, especially smaller or independent films. These are 10 films I have recently watched and what I think of them. All of them have impressive acting, unique stories, and interesting cinematography. All of these are worth the watch! This movie stars rising star Timothee Chalamet and Alex Roe. Daniel (Chalamet) is an awkward teenager who gets into drug dealing with Hunter (Roe) and gets in over his head. He gets involved with Hunter's sister, McKayla (Maika Monroe) who doesn't know that he is involved in her brothers business. This movie is very good and keeps you on your toes. The cinematography is very intriguing and the acting is amazing. This independent thriller film stars Kaya Scodelario and Jessica Biel. Emanuel (Scodelario) is a troubled teen who lost her mother during childbirth and her neighbor Linda (Biel) reminds her of her late mother. As she offers to be Linda's babysitter for her daughter she realizes Linda's daughter is actually a doll. While Emanuel struggles with her own sanity, she tries and protects Linda from losing hers, afraid to tell her that her daughter is a doll. The movies cinematography and acting is very impressive. This action/comedy stars Alexis Bledel and Saoirse Ronan. Violet (Bledel) and Daisy (Ronan) are two young assassins who are sent to kill a loner named Michael (James Gandolfini) but are thrown off by how mysteriously calm and kind he is towards them; knowing who they are and why they are there. Able to kill others with a blink of an eye, they are thrown by this strangers calm demeanor and self examine themselves. Sonny is an independent film directed by Nicholas Cage and stars James Franco. Sonny returns home to New Orleans after the army, looking for a more stable life than his previous one of being a prostitute. With his mother facing financial problems and asking for him to go back in the business, it only makes moving on even harder. Sonny reluctantly returns to working on the streets with only finding his happiness in his relationship with Carol (Mena Suvari), his mother's new protege who wants a better life as well. The movie is very unique and can be heartbreaking. The Grand Budapest Hotel is directed by Wes Anderson, who is well-known for his unique cinematography. The Grand Budapest Hotel is a popular resort with Gustave (Ralph Fiennes) as the concierge and Zero (Tony Revolori) as the the lobby boy who becomes the concierge's friend. One of Gustave's lovers dies mysteriously and he becomes a suspect of her murder. Zero helps him get out of this mess and receive a priceless painting with a little help from his brave girlfriend Agatha (Saoirse Ronan). The movie has amazing cinematography with visually appealing colors and impressive uniqueness. It is witty while also keeping you on your toes with the drama. This movie stars Alex Lawther, Bette Midler, AnnaSophia Robb and Abigail Breslin. Billy Bloom (Lawther) is a fabulous gender-bending teenager who is forced to live with his father and go to a very conservative high school. He is attacked by bullies who judge him by his eccentric style and personality. But no matter what the bullies say or do, Billy makes a statement that inspires anyone who is considered different. The movie was amazing and Alex Lawther does an amazing job with his character. The eccentricity is amazing in this film and it wittingly explained a big problem people are facing today. Flower is a drama/comedy that stars Zoey Deutch. Erica Vandross (Deutch) is a rebellious teenager who lives with her single mom and boyfriend, Bob in L.A. Bob's mentally unstable son, Luke (Joey Morgan) comes to live with them after being released from rehab. At first Erica and Luke can't get along but eventually, him and Erica's friends Kala and Claudine conspire to expose a high school teacher of sexual assault. This movie had a unique storyline and characters. Zoey Deutch usually does a great job but this movie has been my favorite performance from Deutch because it showed her talent even more. Trainspotting stars Ewan McGregor. Mark Renton (McGregor) is a heroin addict who finds himself in many terrible situations. He battles with sobriety and going off and back on heroin. Finally, he moves to London to change his life but finds it hard to escape his past when his former addict friends come back in his life. This movie is very different and real. The effects and dialogue are impressive. This movie should come with viewer discretion partly because it can cause a relapse and has some gut-wrenching things. It is a rough movie to watch but a good one. A ghost story stars Casey Affleck and Rooney Mara and is about a recently deceased husband who returns to his home to look over his wife but is forced to watch the life he knew and his wife slip away. It has little dialogue and a eerie melody film score. This movie is overall hauntingly beautiful. This movie stars Nick Robinson and Rosario Dawson. Taylor (Robinson) is a young man who has a heart problem due to fear. He joins Alcoholics Anonymous to get closer to a woman he loves named Krystal (Dawson) who was a former addict. Krystal has a son in a wheelchair named Bobby (Jacob Latimore) who Taylor befriends. Taylor battles with his own fear while trying to be brave enough to face Krystal's and Bobby's fears. This movie had a great story and it had a mixture of romance, comedy and a little bit of suspense. Films create a world that is either relatable or a way to escape your own. These stories were either fun, emotional or psychologically thrilling. Seeing these films make you appreciate the time it takes to make one. 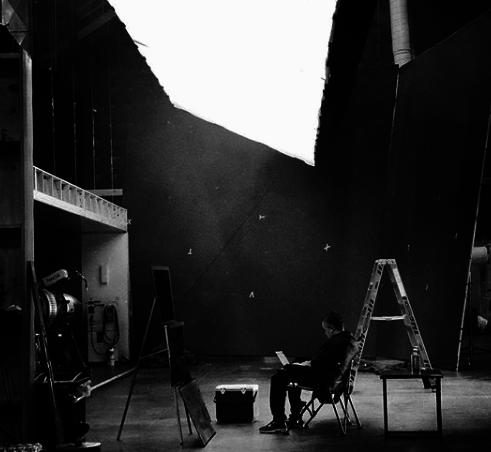 You notice all the small things that are used to make a film like the acting, directing and cinematography. Check out these films or put them on the long list of films you have been meaning to watch. 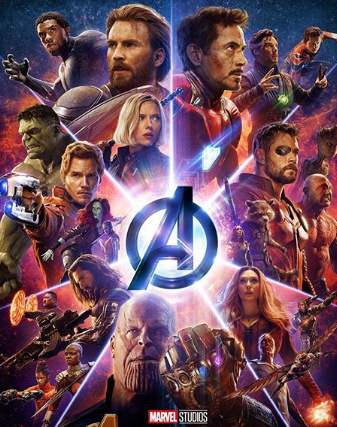 "Avengers: Endgame" is a Marvel superhero movie about the remaining Avengers in the aftermath of the events that happened in "Avengers: Infinity War." The remaining superheroes will have to find a way to defeat Thanos and try to bring back the people that disappeared in the last movie. 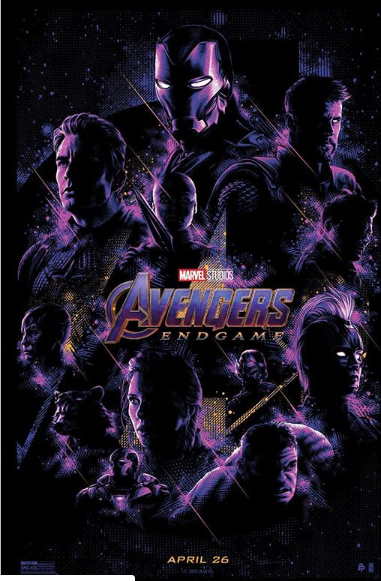 Before it comes out, here are seven facts that you should know about "Avengers: Endgame." It is the longest movie in Marvel history to this point. Am I still going to watch it? Of course I am. 2. 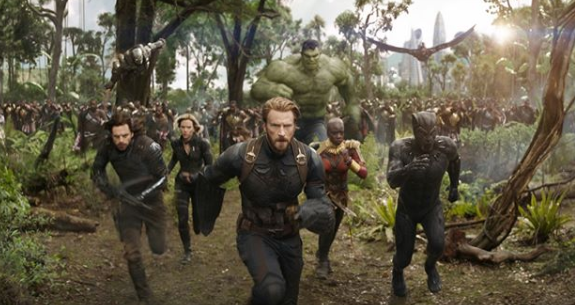 The events that happened in "Avengers: Infinity War" set up "Endgame"
Before watching "Endgame," you might want to watch "Infinity War" first. I haven't seen "Captain Marvel," but I heard that this movie also sets up "Endgame" as well. 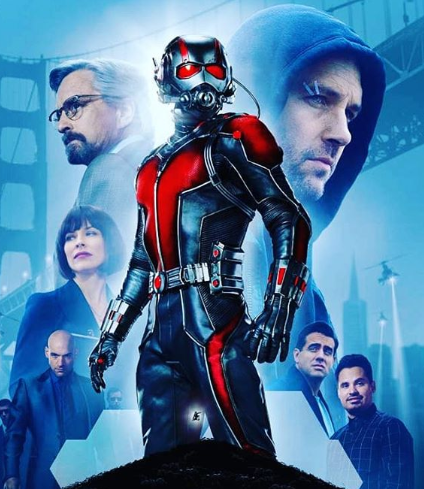 There is one that Ant-Man will be the key to taking down Thanos. One of the theories is that he will shrink down, and go into Thanos than he will expand. There are also rumors about time travel in order to win. Lastly, there is a theory that Loki isn't actually dead. Instead, he is actually alive, and posing as Ant-Man. They've also directed "Captain America: The Winter Soldier," "Captain America: Civil War" and "Avengers: Infinity War." 5. The title references something that was said in "Infinity War"
Dr. 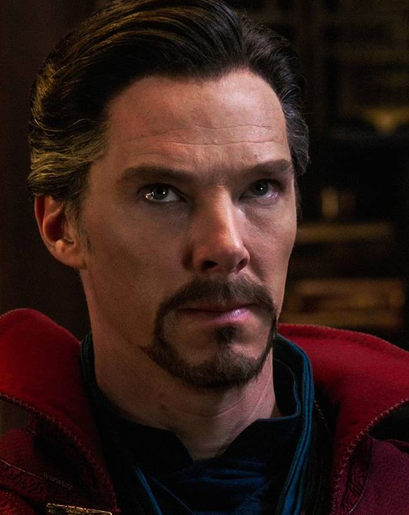 Strange, when talking to Tony Stark, stated, "We're in the endgame now." 6. 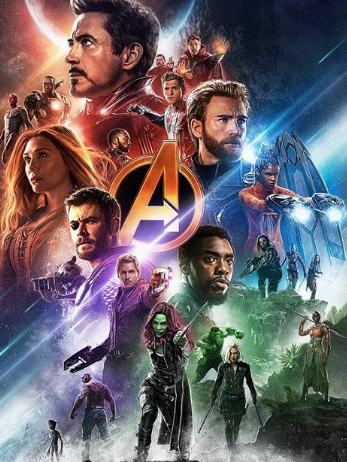 There have been rumors that some of the original Avengers will die in "Endgame"
No one knows who or how, or if there will be any deaths in "Endgame." So, we'll just have to see. But no one knows if they are dead or alive. I can't wait to see this movie. I want to see how they defeat Thanos, and I want to see who comes back. A lot of my favorite characters disappeared. I think it's going to be a good movie from what I've heard and seen.